Stomach cramping that occurs after eating fatty pork may be a sign of a more serious medical condition and needs to be assessed by your doctor. If you have digestive complications such as gastritis, gallbladder disease or irritable bowel syndrome, eating fatty pork might trigger symptoms. 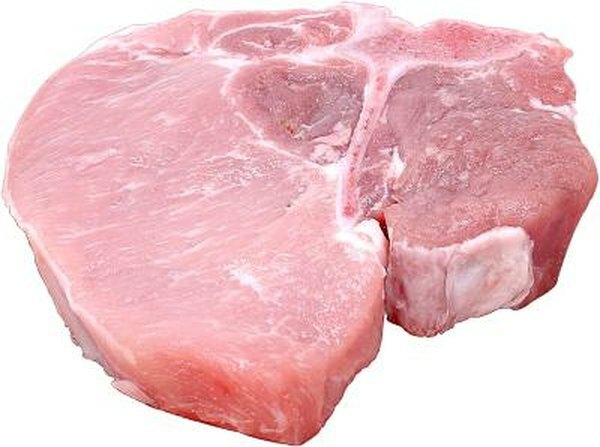 The fat content in the pork can irritate the lining of your digestive system or cause your gallbladder to contract in order to properly break down the fat. Avoid fatty pork until you visit your doctor for an assessment. Gastritis is an infection that occurs in the lining of your stomach, according to the National Digestive Diseases Information Clearinghouse. Your stomach is lined with a protective coating of mucus, called the mucosa. When the mucosa becomes inflamed from an infection or is eroded you develop gastritis. This condition may be acute, lasting a short period of time, or chronic, lasting a long period of time; it can last a lifetime. Eating foods high in fat can trigger symptoms. Stomach cramps that develop after eating fatty pork may be the result of gallbladder disease. Your gallbladder is a sac that holds extra bile for when you eat a lot of fat in one sitting. Gallbladder disease can involve either gallstones or inflammation of the gallbladder, according to the University of Maryland Medical Center. After you eat fatty pork, your gallbladder contracts, releasing bile into your stomach. If the gallbladder is inflamed or if a gallstone becomes lodged, you develop minor to severe pain that may range from your abdomen up to your lower chest. A gallbladder attack may lead to serious complications and should be evaluated by your doctor. Fat is difficult to digest and may cause increased gas to develop in your digestive tract. Gas is a normal part of the digestive process that can cause sharp pains that come and go. You can treat gas pains with over-the-counter medication. Fatty pork can trigger irritable bowel syndrome symptoms, or IBS; if you’ve been diagnosed with irritable bowel syndrome, you should avoid eating fatty foods. Common symptoms of IBS include bloating, gas, cramps, chronic diarrhea and constipation. IBS is a chronic digestive condition with no cure.